Can people take this game seriously please and wait silently and patiently all of this swearing is unbecoming. The sun rose yet again. DIO was no more, and so the townsfolk hoped that they would suffer fewer casualties from now on. But that hope was nothing but a pipe dream. Slumped in a chair at the Cinderella Beauty Salon was the corpse of Aya Tsuji, AKA jimbob555. She had been brutally beaten to death, with inhuman speed, power and precision. The townsfolk were confused and shocked, and Morioh was set for another chaotic day. PiGreat wrote: "The moral of the story is that miracles take dedication!" 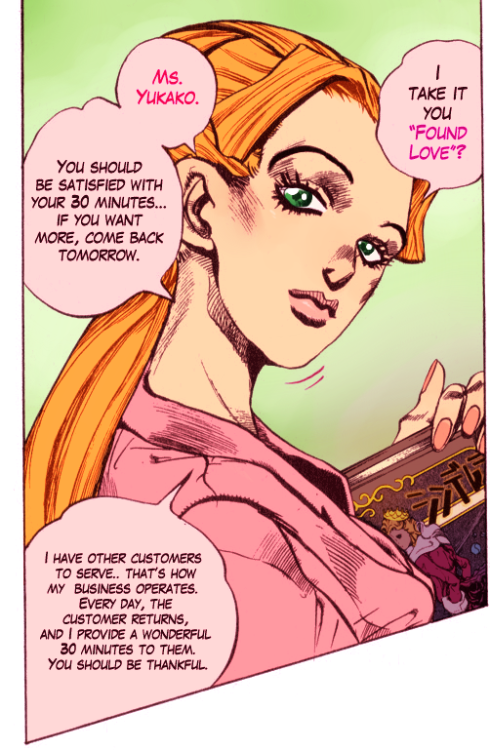 You are Aya Tsuji, the proprietor of the Cinderella Beauty Salon in Morioh. The service your salon offers is unique – in order to help customers find love, you use your Stand Cinderella to replace their body parts with 'more desirable' versions. This ability can also be used to swap the faces of two different people. You are the Bus Driver. By using Cinderella, once per night you may swap two players around. Any actions directed at 'Player A' that night will instead hit 'Player B', and vice versa. 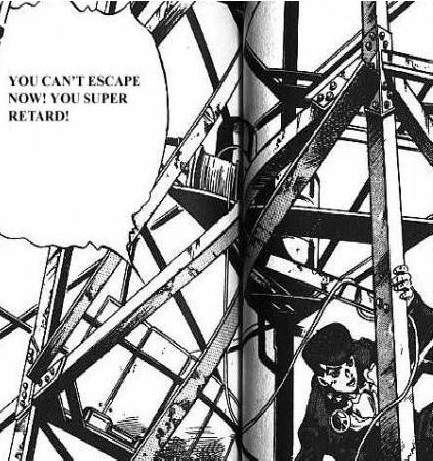 To use your ability, please send me a PM titled JoJo – Night [x] – Swap [player1] with [player2]. DAY 6 BEGINS NOW. The lynch majority is 6, and the deadline is 11PM on 12/7/16. Nah, it's day phase again so we can get on with lynching me. Last edited by jimbob555 on Mon Jul 11, 2016 10:19 pm, edited 1 time in total. Lynching FK would be funny. Right we have 3 targets, though the Vig seemingly deciding to aid the mafia out of spite certainly spices things up. We're going for someone who we believe to have a role which could hinder us. This person is Rik. 1. Rik claimed Jailer to me, which is a role (often named Kidnapper) which is predominantly mafian. It just so happens however that in Hoyles Mafia roles guide Jailer is listed as Village, which would certainly suit an easy fake claim for a mafian. 2. Rik is the ONLY other person (besides someone we have cleaned) I have spoken to who had contact with Met - the cop. I know this because all of the info that Rik gave me checked out with Met's targets. Now I did think it was weird for met to just hand out this info to him without claiming but apparently that's how met played this game. It;s certainly more than enough motive for the mafia to target met. 3. I got a watcher result from the alleged copycat which basically landed him in the eton mess, the info doesn't check out at all and was incorrect. However, the influence of the info he provided me certainly has Riks name written on it, as the person who the copycat told had targeted me was in fact the name of the person I gave to rik to protect with his role. It seems highly likely they banked that this was the bodyguard and that they would target me to protect me. Didn't work out too well though.